Jackson Doughart writes that P.E.I.’s HST increase is a poorly-conceived policy, largely because greater consumption taxes are not being adequately offset by income tax reductions across the board. 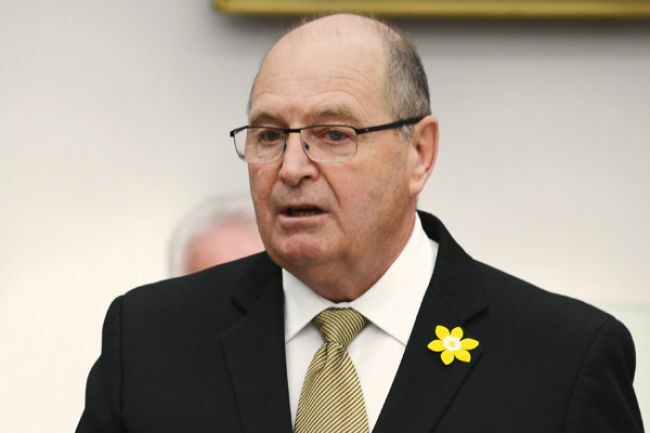 Instead of taking more from Islanders’ pockets, P.E.I.’s government needs to focus on prioritizing needs and cutting spending to prevent tax hikes. This article appeared in the Journal-Pioneer and the Charlottetown Guardian. P.E.I.’s Harmonized Sales Tax will rise from 14 to 15 percent on October 1. This policy will inflate the cost of almost everything Islanders buy, without adequately lowering other taxes. New Brunswick and Newfoundland & Labrador both increase their HST rate to 15 percent on July 1, matching the 2010 hike in Nova Scotia. By joining them, we will strip our businesses of an advantage over their Atlantic competition. Compared to other Canadian jurisdictions and New England, we already live in a high-tax zone. Incremental increases move us in the wrong direction, away from an environment conducive to private-sector growth and toward continued economic stagnation. Raising the HST will increase prices at hotels and restaurants. Motorists are hit especially hard, since they pay HST on the price of gasoline as well as other federal and provincial gas levies. Some tourists may see our high sales tax as a reason to vacation elsewhere. Punitive tax rates weaken prospects for growth and employment. Has the government considered these consequences? There are compelling economic arguments that promote consumption taxes, like the HST, as a lesser evil when compared with income taxes. They are fairer, especially when the government exempts basic necessities – thereby decreasing the burden for those struggling to get by. With consumption taxes, people contribute based on what they spend, rather than being penalized for earning and saving money. Those who are frugal pay less tax. However, this theory rests on consumption taxes being offset by reduced income taxes. Transitions from one tax method to another should be revenue neutral, so that the government receives the same amount either way. But October’s HST increase is just another money grab from government. While the Department of Finance provides some justified relief to poor Islanders, it doesn’t lower everyone’s income tax to offset the greater cost at points of purchase. Put together, tax reductions for low-income Islanders, elimination of the property-transfer tax for first-time home buyers, the increased personal exemption, and the sales-tax credit will only relieve about $4-million province-wide. This figure pales in comparison to the extra $21.5-million that government will take in from the HST increase. Based on demographic projections and budget data, the HST burden works out to an average of $1,824 per person for 2016, compared with $1,691 from 2015. That’s about $133 more per person. And this amount doubles in 2017, since the increase will be in place for the full fiscal year. What difference is an extra $266 per year, you may ask, when we’re told that we all need to sacrifice a bit more to save public services? Well, the message of shared sacrifice has clearly not reached the government, considering that it is once again spending more money than it did last year. Excluding interest payments on the debt, program spending is up $36.7-million. And for an average family of four, an extra thousand dollars per year is no slouch. We can’t tax our way out of P.E.I.’s money problems. It is good that the MacLauchlan Government wants to spend within its means – something that its predecessors didn’t seem to care much about. But it needs to do so by getting its economic house in order – by spending less and prioritizing needs – instead of squeezing ever more money out of Islanders’ pockets. This article appeared in the Journal-Pioneer and the Charlottetown Guardian.